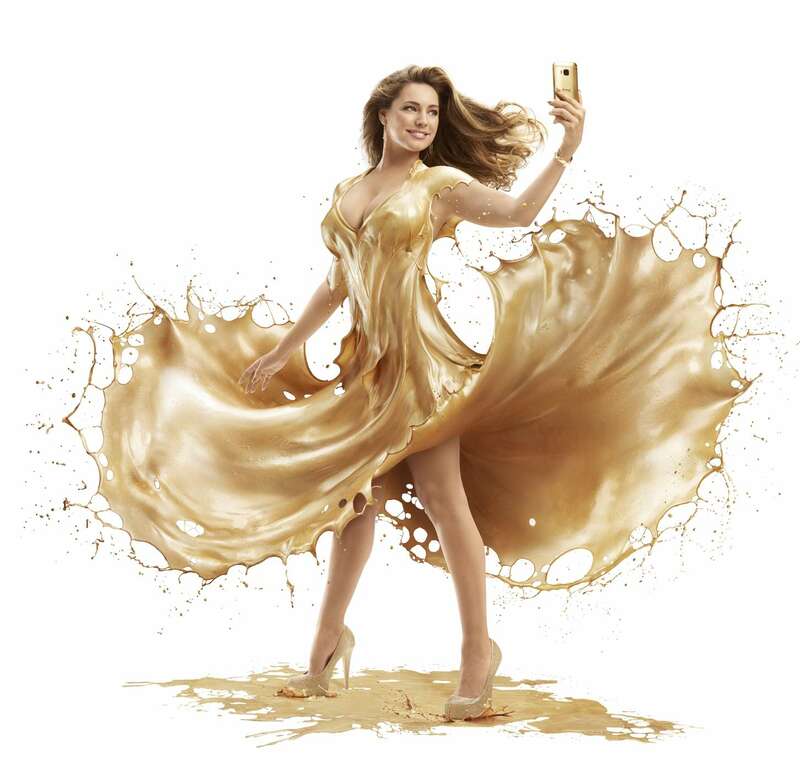 British model and TV personality Kelly Brook is enlisted for a promotional shoot for the new HTC One M9 Gold. Models have previously been featured for tech campaigns, most recently Irina Shayk for the Samsung S6 Campaign. The 35 year old brunette's dress was created with over 440 litres of gold-coloured liquid during a four-hour shoot. Kelly says it was one of her 'boldest' shoots with the crew throwing freezing cold gold paint over on her. Dazzling gold heels and hair curled to perfection complete Kelly's look for the tech campaign.